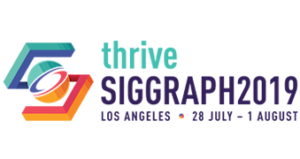 SIGGRAPH is pleased to award William T. Reeves with the 2018 Practitioner Award. The Practitioner Award is given annually to practitioners who have had an impact on computer graphics and interactive techniques. Bill certainly meets this criteria, not only developing ground breaking techniques such as Particle Systems and Z-Depth shadows, but also implementing them in practice for use in films like “Star Trek II: The Wrath of Kahn‚” “Return of the Jedi‚” and “Young Sherlock Holmes‚” and in production software like the RenderMan renderer. After starting out at Lucasfilm, Reeves joined Pixar Animation Studios as head of Animation Research and Development. Bill enhanced Pixar’s animation software to the point where it could be used to create a full-length animated feature film. He was one of three architects of Marionette, the in-house animation software used on every Pixar film from 1986 until 2012, an amazing 26 year legacy. The Academy of Motion Picture Arts and Sciences has recognized his innovative contributions to filmmaking techniques with two separate Scientific and Technical Awards. In addition to his role as a software architect, Bill also worked in production, contributing to many of the classic Pixar short films including “Red’s Dream”, “Luxo Jr.”, and “Tin Toy”. “Luxo Jr.” was the first ever 3D computer generated animated film nominated for an Academy Award, and along with John Lasseter, Reeves was a recipient of the first ever Academy Award given to a CG-animated short for “Tin Toy”. Bill also has credits as a Supervising Technical Director on many of Pixar’s feature films, including “Toy Story”, “A Bug’s Life”, and as Technical Development Lead on “Finding Nemo”. He led the pre-production teams for “Cars” and “The Incredibles” and was Global Technology Supervisor for “Ratatouille”, “Toy Story 3” and “Inside Out”. For “Monsters University”, he oversaw the implementation of a new lighting system at Pixar, effectively overhauling an entire piece of the production pipeline. Bill continues to practice the art of filmmaking and is currently working on a future undisclosed project for Pixar. Bill’s contributions have helped shape the industry and have inspired CG practitioners around the world. ACM SIGGRAPH is proud to honor Bill as the recipient of the inaugural Practitioner Award.